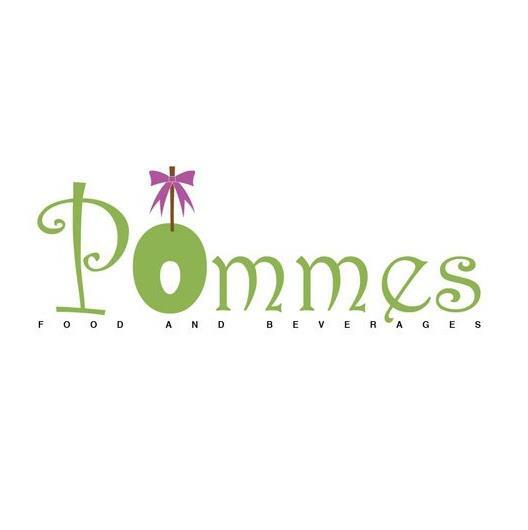 The name Pomme actually derived from a French word for apple. 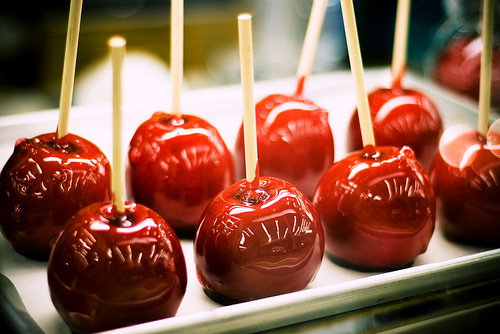 It is also known by it's famous name Candy Apple or Toffee Apple. These are a common treat at autumn festivals in Western Culture in the Northern Hemisphere when it falls on the annual apple harvest season. These are how the Candy Apples look like. So tempting right? I know. The apples are basically been coated with a layer of melted red cinnamon candy or by a mixture of coating consist of sugar, corn syrup, water, cinnamon and red food coloring. As for the current generations, some tend to use melted caramel instead. If you are from Melaka, and you feel like eating that cute 'creature', faster drive to Dataran Pahlawan! Pommes are having a way more varieties and choices to choose from. 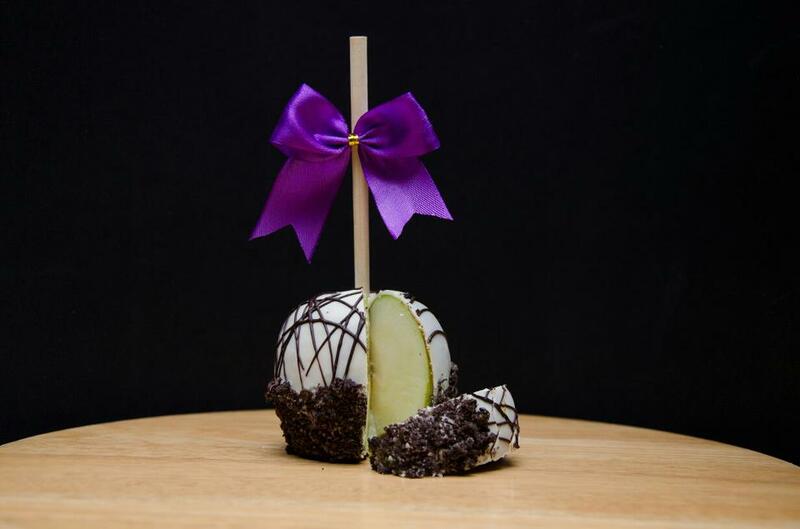 Plus it looks a lot cuter compared to the traditional red Candy Apple. 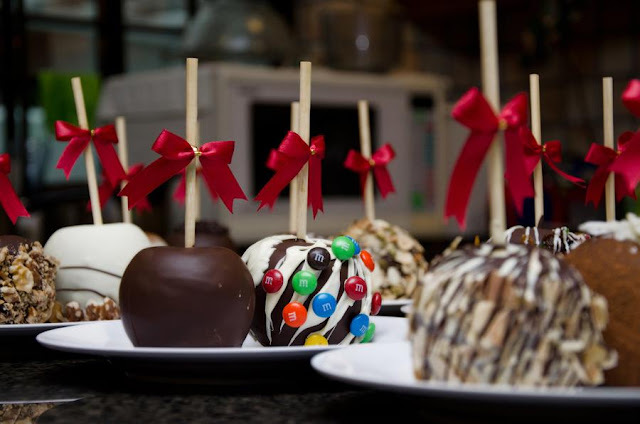 You can find their apples in Ska Ring Chocolate Fountain. I love their packaging. Looks classy and suitable for door gifts to your guests for any occasions. Especially when the apple is so cute. Even your kids would want to eat them everyday. Had crunchy oreo and I love it so much! This is how it looks like after being cut. Some other pictures taken from Pommes facebook. For more pictures, do visit their Facebook page.